It’s 14 degrees Farenheit here in Pittsburgh, USA. This delicate image of a wildflower on that yummy trail on Mt. Meron, makes it just that much more difficult to acclimate to this frigid existence. Frigid for the next 4 months. Israel has winter too, but they suffer when the thermometer goes down to 45 degrees F.
We’re just about at the end of sharing our photos from June and July 2014. Good flights (El Al), birth of Boaz, a healthy vibrant Israel, and trails with abundant butterflies. Albeit butterflies that know only one speed, Zoooooom! My visits are with hospitality provided by family. I sit with them at their tables, all served, most fought, their friends often didn’t come home. It’s like America used to be, where you could be amongst a group of people, family, neighbors, whatever, and several at the table wore the uniform, served to protect their families. If more Americans visited this beautiful Land, replete with so much theological history, they would fall in Love with this Land of milk and Honey, and its pragmatic, caring people. That trail shared its butterflies, bees, birds, botany, lizards, myriad rocky outcrops and spectacular views. But times does fly on morning trails in the Holy Land, and the Sun shines every June day, a reminder that after 10:30 AM, this American boy will begin to bake like a pancake. 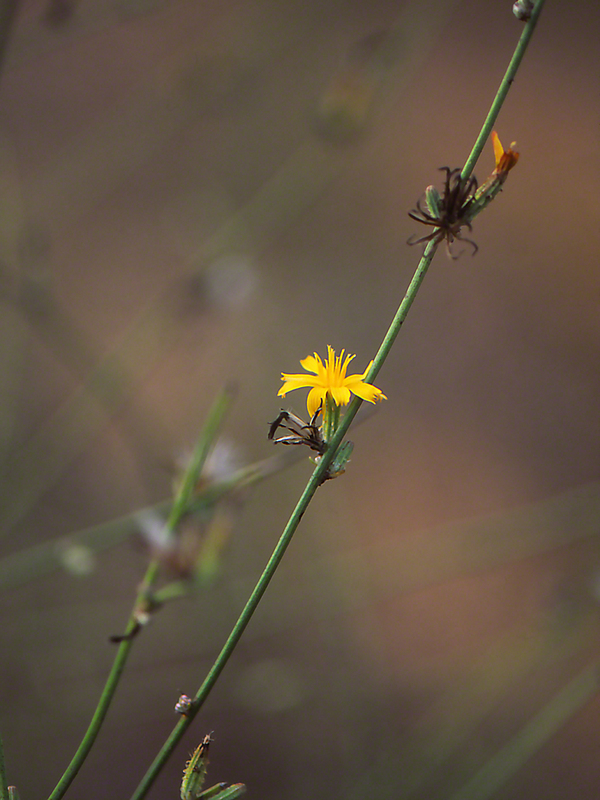 Some time before that, I notice this Picris Sprengeriana wildflower at trail’s edge. I had once or twice seen butterflies on its flowers, but they never detained long enough for my approach. I took a long look at its yellow flowers, they are one piece of the infinite puzzle. One plant species amidst hundreds and hundreds of different plants, all comprising vibrant, healthy community. That’s the message I took, all co-existing together, together creating, creating habitat and Life itself. Shouldn’t we all take note of that?